High school: You get the most out of it when you participate. The same goes for High School Illustrated. So, get in on the action! Send a short blurb, a long article or your story ideas about a sporting event, school activity or individual achievement. Send it to us– submit@highschoolillustrated.com Most submissions will get published online and some may get published in our beautiful print magazine. The first time you send us something and we publish it, you will become an official High School Illustrated wordster. Send us captured moments of events, people or scenes that represents the high school experience. Take ‘em with an expensive digital camera or on your iPhone and send them along to us at submit@highschoolillustrated.com — and we’ll try to get them posted online as soon as possible. Please include your name, the names of people featured in the picture, information on when and where it was taken and a brief caption. Those who send pictures are deemed official High School Illustrated picsters. Better yet, tag your Instagram pictures #HSIOC and we’ll do all the hard work for you! You know what’s going on at your school. 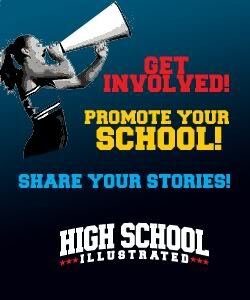 If you would like us to follow up, get the story and publish it in High School Illustrated, please submit your suggestion using our Story Ideas submission form. Tell us the who, what, where, when and why you think we should cover this tip. You can also tag your Instagram pictures #HSIOC. We monitor the feed, so this is a great way to tip us off to what’s happening. We can recognize you as an official High School Illustrated tipster or you can remain anonymous. Students. Please submit noteworthy and newsworthy items that happen at your school. It doesn’t all have to be squeaky-clean, but we do like to emphasize the positive, inspiring and meaningful. Adults. Write about a team or group that includes your daughter or son, but not only about your child. (Hint: encourage your friend or neighbor to do it!) You may not plagiarize, copy quotes or make things up. Above all else, be honest. Everyone. Be nice. Don’t libel anyone, because if you do we’ll tag you as a trickster. Basically, we expect our writers to adhere to journalistic standards of ethics. If you have any questions or concerns, ask us — submit@highschoolillustrated.com. Are you an aspiring or professional journalist? Apply for an internship or a regular writing position, please include your name and your role (e.g. student, parents, coach, etc.) in addition to your story. If you want to learn more about life as an intern, check out the HSI Intern Center. And, if y0u have something on your mind about High School Illustrated, just email us anytime. Thank you.